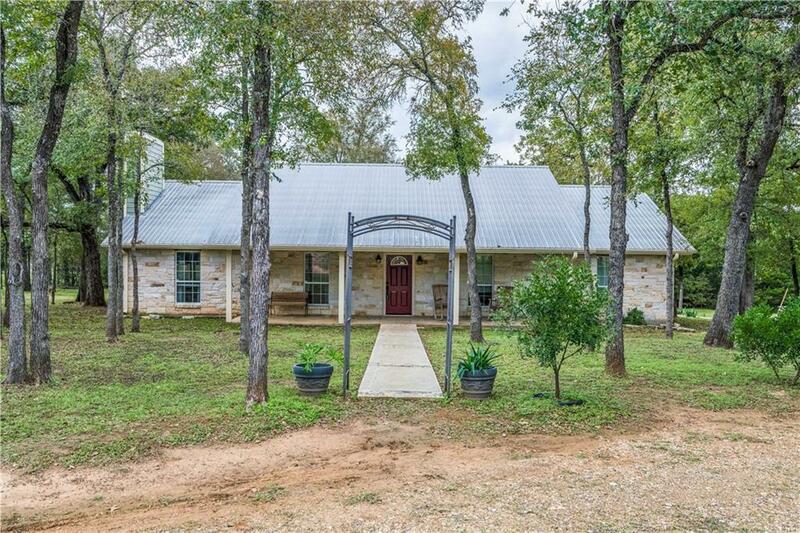 Country living on just under 4 acres nestled among mature trees. 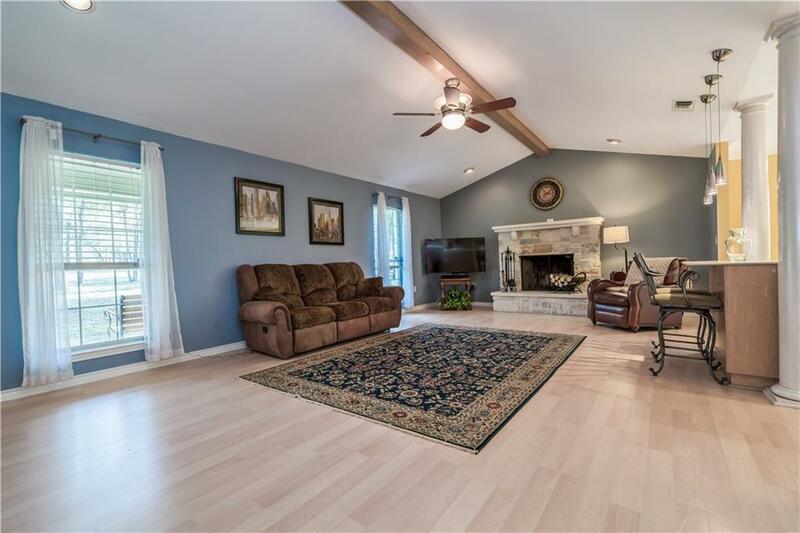 Open-concept, attractive wood beams & tons of natural light. Center Island kitchen w/SS Amana appliances inc. built-in double oven & MW, silestone counters, & ample storage. 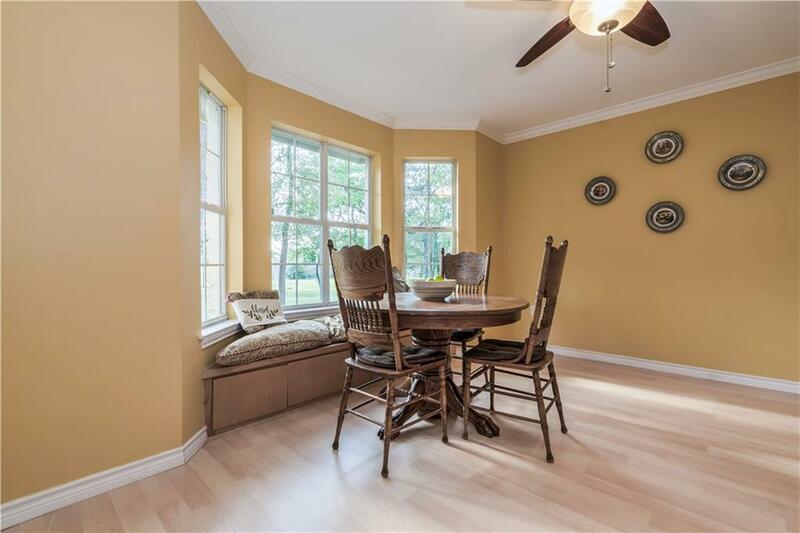 Cozy dining w/bay window. 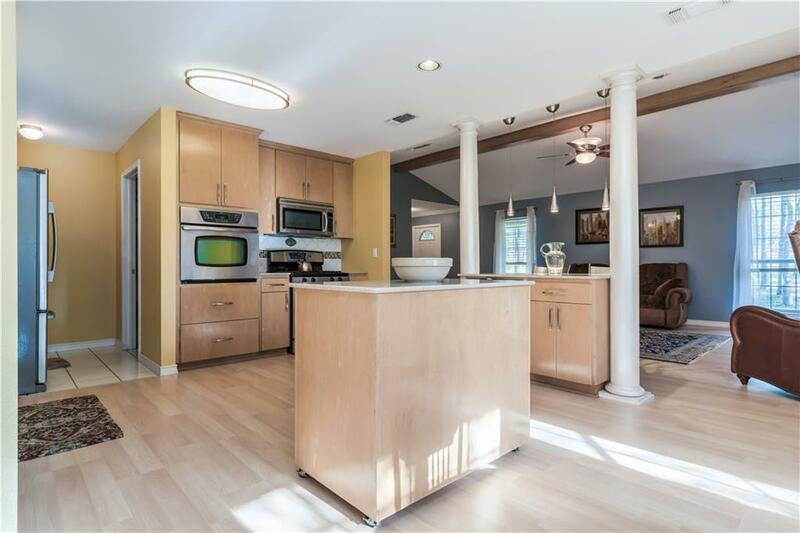 Master w/private bath inc. WIC, soaking tub w/shower, & double vanity. Secondary beds for guests/growing family/home office. Front & back covered porches. Pond w/fishing pier. Detached workshop w/water & electricity, + shed. Bring your offers! Property listed by Kw-Austin Portfolio Realestate.